Renowned Austrian motorcycle manufacturer, KTM confirmed that they will introduce the 1290 Super Duke R to Indonesian market this month. According to the news, KTM will sell this radical design streetbike motorcycle at a price of about Rp. 475 millions. 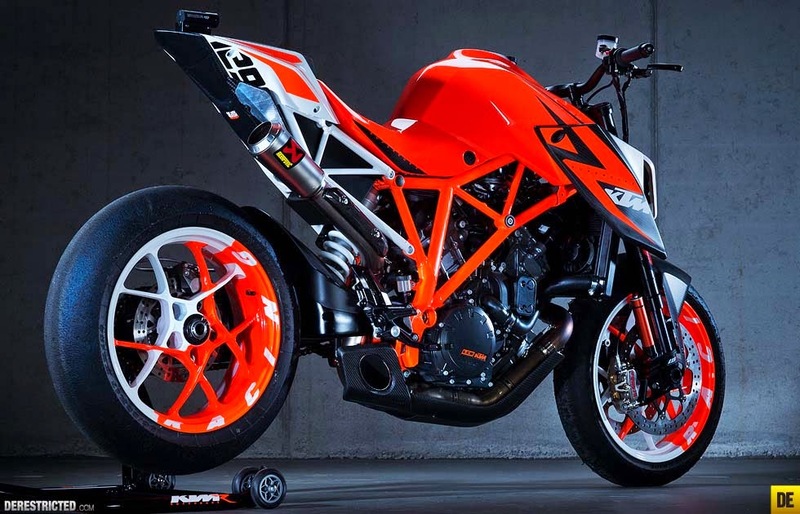 KTM first launched in the 1290 Super Duke R in London last year at a price of 13,999 pounds, or around Rp. 286 millions. While recently KTM launched the motorcycle in India last week, as reported from Rushlane on Thursday, June 26, 2014. 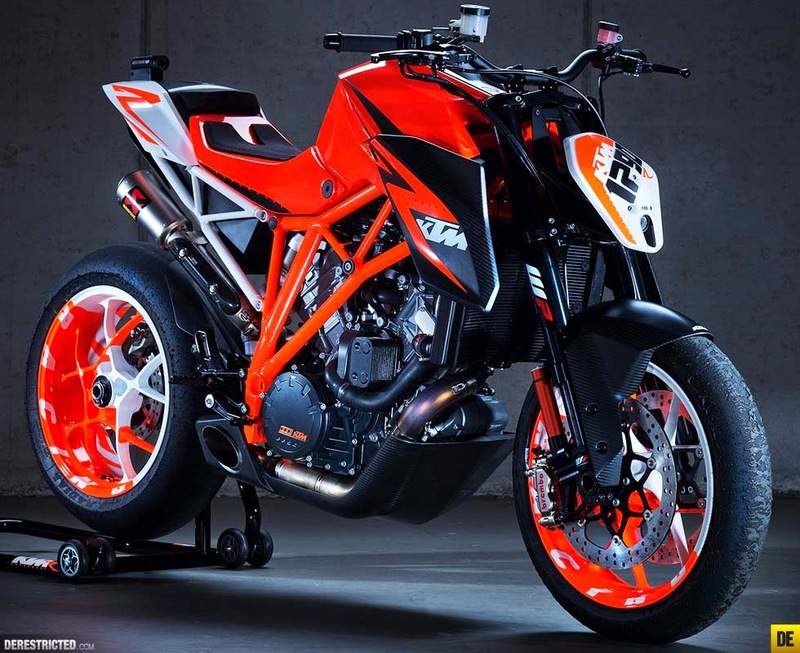 KTM 1290 Super Duke R uses a two-cylinder engine with a capacity of 1,301 cc with liquid cooling. The machine is capable of spraying power up to 180 hp. Hard and radical design of streetbike is the result of the efforts of the KTM designer made a recent innovation that has not been made before. 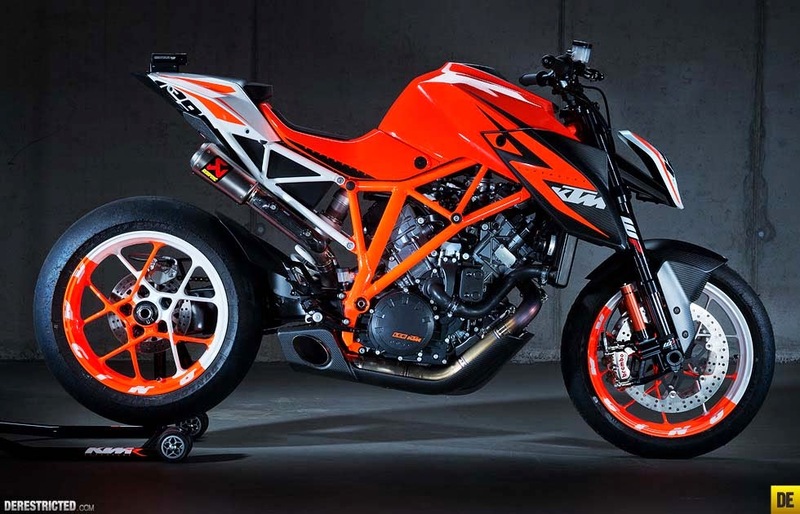 In fact, the design belongs to KTM 1290 Super Duke R is able to draw the attention of automotive enthusiasts in Germany and won the 2014 Motorcycle of the Year for the naked bike catagory. Radical designs which are owned by the Super Duke R 1290 is derived from the shape of the muscular tank and skeletal trellis that covering a large engine blocks belonging to the naked bike. In addition KTM makes the exhaust sound of the Super Duke R is very fierce when driven at a high speed. Meanwhile, on foot legs upside down telescopic fork at the front and one side of the swingarm at the rear wheels combined with the large size so that the Super Duke R 1290 looks very sturdy. Although has a creepy design, turns out 'Austrian monster' is quite friendly for the novice rider, thanks to ride-by-wire features.